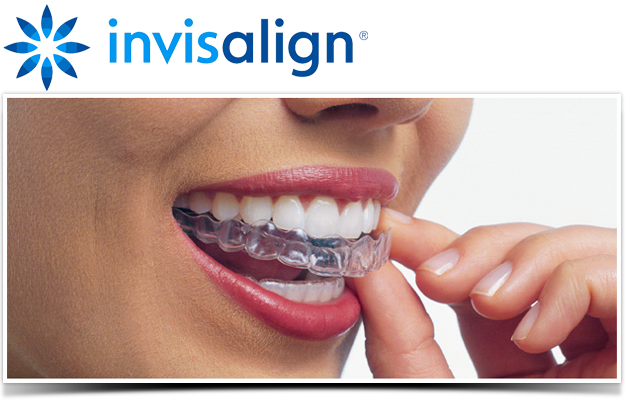 Invisible and removable, Invisalign offers orthodontic treatment which is subtle yet highly effective. This unique tooth straightening system is ideal for patients who want flexibility with their treatment. Typically, to achieve the best results possible, you will need to wear your Invisalign aligner for up to 22 hours per day but you have the choice to remove it for those all-important occasions. An aligner is similar to a mouth guard; however, it is completely transparent so is barely noticeable to others. When you first attend Meadows Dental Care for Invisalign treatment we will take impressions of your teeth so that our laboratory team can create your first set of aligners. Thereafter, we will provide you with new aligners every fortnight, each one being expertly created to encourage the gentle movement of your teeth. Invisalign can be used to treat a variety of orthodontic issues and should be removed for cleaning and eating. Unlike other orthodontic treatments, your natural teeth will not require extensive preparation prior to Invisalign treatment and you control how much or how little you wear the appliance. Although treatment time depends on each individual case, on average patients wear their aligners for between six to twelve months. Once the treatment has ended, we will give you a retainer so that you can maintain the new position of your teeth. To book your orthodontic consultation, please click here or call 01733 711019.